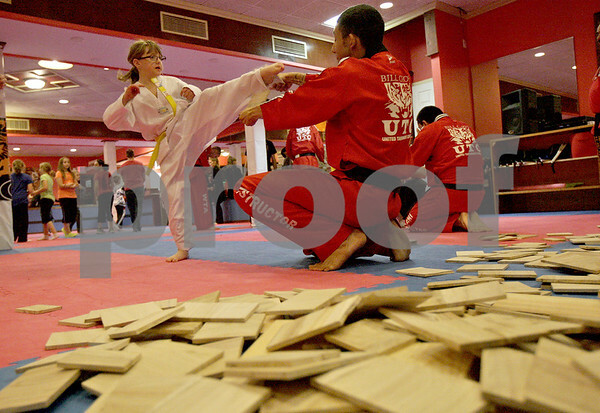 Felicia Kapity, 7, a yellow belt, breaks a board at Billy Cho's United Tae Kwon Do Center for a Break-a-thon to benefit eight-year-old Tyler Neppl on Friday, November 15, 2013. Neppl has a rare genetic disorder called neurofibromatosis. Hundreds of Neppl's classmates, neighbors and friends came out to break boards at the Tae Kwon Do center where he is an orange belt.